This entry was posted in Mental Health and tagged Bullying, Help, Overcoming Fear, Signs and Symptoms on June 1, 2016 by Team Addiction Hope. The number of stories about teen suicide caused by bullying seems to multiply each year. While bullying used to occur primarily in the schoolyard and classroom, the prevalence of young people joining social media sites has led to a new arena for psychological abuse. 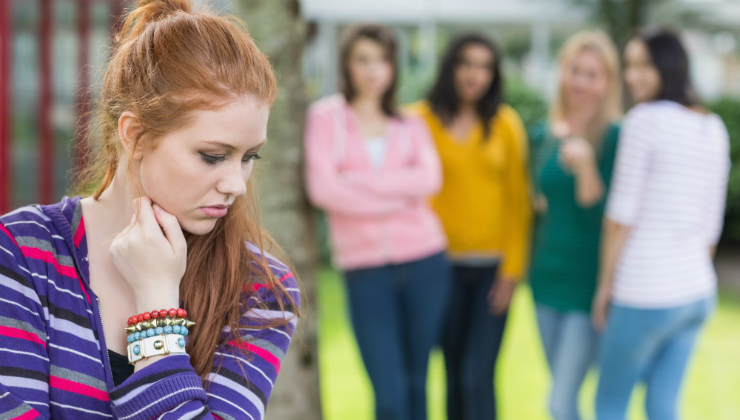 The link between bullying and suicide among young people is well established, making it incredibly important for parents and teachers to learn how to spot the signs of depression caused by cyberbullying. If you fear that your child or student may be a victim of bullying on social media, there are a number of ways that you can help end the cycle of abuse. According to the CDC, suicide is the third most common cause of death among young people, with the total number of annual deaths reaching as high as 4,400. While the number of suicide deaths is alarmingly high, there are an additional 440,000 suicide attempts each year by young people. A recent Yale University study found that victims of bullying are between 2 and 9 times more likely to have suicidal thoughts than people who are not bullied. An ABC News survey discovered that almost 30 percent of young people are either bullies or bullied by others. One of the more troubling trends of modern bullying is that young people are not even safe when they leave school. Because teens spend so much time online interacting through social media, they are potentially exposed to abuse every time they use their computer or check their smartphone. Teen suicide attempts are common after prolonged bullying, but if you can spot the warning signs early, a potential tragedy can be avoided. Frequently talking about self-harming behavior and suicide, or portraying themselves in a negative light. Distancing themselves emotionally from loved ones. A loss of interest in activities that once brought them joy, such as playing sports, video games and spending time with friends. Unpredictable changes in eating or sleeping habits, often accompanied by neglecting personal hygiene. Desperate attempts to regain lost friends, such as succumbing to peer pressure-induced drug use. Teens are often unwilling to share their feelings with adults, so it can be hard to spot the signs of an impending suicide attempt. This sad truth is doubly true with victims of cyberbullying, as they have been conditioned to be even less vulnerable with their emotions, which may end up being used against them by their tormentors. If you are a young person being bullied on social media, the most important thing to remember is that you are not to blame for your abuse. The occasional argument with a peer is an unavoidable part of life, but no one deserves to be treated with constant cruelty. If you are uncomfortable with confronting the bully directly, know that there are people out there that you can reach out to for help. If the bullying ever crosses the line into threats of violence, save the written records and consider contacting law enforcement. If you believe that a young person in your care is the victim of either online or offline bullying, you have a responsibility to help end the abuse. As upsetting as it can be to see someone treated unfairly, it’s important to remain thoughtful in your response. What adults don’t always realize is that they can make the situation much worse by acting rashly. If the teen’s bullies were to find out that even a discreet meeting with school authorities took place, the abuse could potentially escalate. There are a number of ways you can help a young person who is being bullied on social media, but If you believe that a teen is at risk for suicide, reach out to a mental health professional immediately.